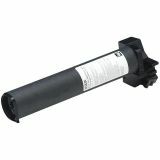 Xerox 6R379 Black Toner Cartridge - Copier toner delivers consistent quality. Designed for use in Xerox copiers 5312 and 5314. Yields 4,000 pages on 5 percent coverage. Yield will vary depending on coverage and print/copy resolution used.